Developing and Managing Community Interpretation Plans and Programs. 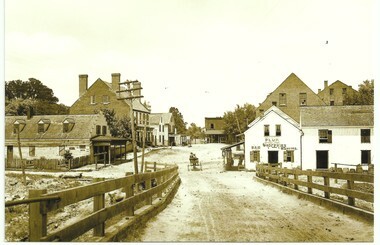 Historic Street Scene - from Falmouth VA Community Interpretation Plan. 12 Units - 2 CEU credits. Are you ready for e-LIVE interpretive training? The Heritage Interpretation Training Center is pleased to announce our most recent e-Live interpretive training course for 2016. This is a University level course based on years of actual interpretive consulting work including planning projects for developing community interpretive plans for historic towns/villages and various historic districts. interpretive plans and tourism opportunities for historic communities and historic districts. - Individuals or community leaders interested in developing heritage interpretive experiences for their town, village, historic district or community for heritage tourism and economic development goals. - Have a working knowledge of Tilden's Interpretive Principles. - Have a working knowledge of the Model of Interpretation Planning. - Will have developed proficiency in developing an interpretive planning document for community interpretation to be used for both short term and long term tourism development and marketing. - Will have developed a working draft of their community interpretation plan. 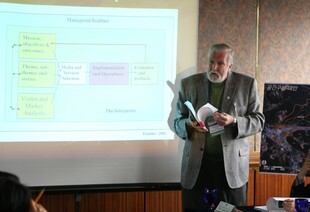 - Ph.D. program in Interpretation at Michigan State University. Taught introductory and advanced interpretation courses at MSU for 5 years. - Adjunct Professor Heritage Interpretation (summer heritage tourism institutes) North Carolina State University, New York State University. John is currently - Senior Instructor, Kansas State University - Global Campus (Interpretive Planning), as well as Director of the HITC and president of JVA consulting. Our e-LIVE courses are limited to 10 participants at one time, to allow for maximum interaction with the course instructor. Once one participant completes the course another participant can be added. - You'll be given course content to read and interact with for each of the 12 units. - We will provide you with reading assignments, text book and reference articles as part of the course that you keep for your library. - You'll be given a development assignment for each unit which you'll send to John for review, comments and coaching as needed. You'll be able to talk with John about each assignment via SKYPE, or by e-mail or phone. Thus the e-LIVE opportunity. John will be your instructor and coach who you can talk with at any time about your assignments. Remember that John is in Michigan (Eastern Time Zone), so it's best to e-mail John to set up a time to chat. - When you've completed each course unit you'll be sent the next unit for the course. Again, you'll be given assignments for that unit to submit to John for review, comments and coaching. - When you've completed all 12 units you'll be awarded a Certificate of Completion and 2 CEU (Continuing Education Unit) credits. Additionally, you can work on actual projects you may be working on for your community interpretation programs. That is the benefit of e-LIVE - we are flexible in designing the course to meet your real-world needs. The estimated completion time of the course is up to you as you can work through the courset your own pace. Unit 1. Defining the scope of your "community" (city, small town, historic district, etc.). Unit 2. Community participation assessment and potential partners. Unit 3. Community focus workshop sessions and community engagement. Unit 4. Developing the operational policies for your community interpretation program. Unit 5. Community interpretive services management - who's in charge? Developing your community interpretation plan. Unit 7. Developing your main community interpretive services theme and interpretive bjectives. school groups? What are the benefits for visiting your community will you be developing and promoting? Unit 11. Evaluation and pre-testing your interpretive media - are your objectives being accomplished? Unit 12. Marketing your community interpretation offerings and experiences. If you're interested in this course and would like to enroll in it - send an e-mail to John at: jvainterp@aol.com for a registration form. If you have any questions at all feel free to ask. Then return to this page to pay for the course tuition below.